Locksmithing is a specialized service. Whether you are looking to get your locks changed or you repaired, a locksmith is the professional you are going to call for help. If your house has been broken into or you have locked yourself out of your car, a locksmith will likely be one of your first phone calls. 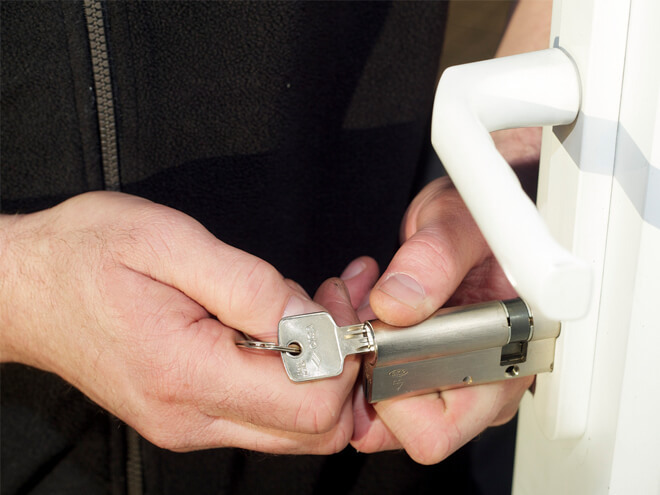 Most locksmiths provide emergency services, able to arrive at your location within a short amount of time to assist. Some install high-quality locks for commercial business properties, unlock keypads, get you into a safe without the keys, and even help with your security system. Locksmiths are able to help you with any type of lock at almost any time of the day, and while the job may not be difficult, it often requires some specialized tools, and a quick response, which drives up the cost of a locksmith. The cost of a locksmith will depend on the type job you require, but you should expect to pay approximately $100 at the low end. This price is mostly for small jobs that do not take much time, and includes things like lock replacement, an upgrade, installation of a dead bolt and more. High tech and custom locks can also be worked with if needed, and this will bring you closer to the $200 mark. Emergency calls will also increase the locksmith cost, so try to schedule an appointment whenever possible. When you need a locksmith, you may need them right away, and finding a trusted professional in your area can be difficult. We highly recommend that you get in touch with locksmiths in your area and compare at least 3 estimates to get the best deal possible. At the high end, a locksmith job can come in at around $400. This so for jobs that are will not be completed in a short amount of time and require special tools to complete. Remember that getting brand new locks installed, replacing broken locks, work on specialty locks and emergency service fees will almost always drive up the cost of a locksmith. If a locksmith cannot complete the project in the average amount of time, needs to order in a special part, or needs to use obscure tools and knowledge, you will be paying a higher price. Now you can get a 100% free, no-obligation estimate for a professional locksmith in your area by simply entering your zip code in the area provided.